Mr. Weed and Publishing Push sent me a copy of this book to review (thank you). It has been published, so check with your local bookstore for a copy. It can also be bought on Amazon. Will is an orphan. He has a guardian until he comes of age and then he will own his home. The Puritan village he lives in has specific rules that must be followed. Will likes to leave the compound and hunt in the forest. Mostly he likes having some quiet time and being able to think for himself. He's continuously discouraged and punished for trying to find some freedom. When he meets an Indian in the woods, he's startled and a bit scared. When the Indian begins to teach him forest lore, how to hunt, and gives him some new ideas to chew on about life, his life is enhanced. The good moments don't last long. When the Puritans evict the old Indian from the Indian camp and take a boy into custody, it's bad enough. When they then declare him a killer in a war that was so long ago the boy wouldn't have been old enough to be involved, no one will listen to Will. He goes to stop the execution with his announcement and gets into more trouble than even he could have imagined. When there's a disturbance at the event, Will grabs the Indian boy and they run. It matters not how far they run, the other settlers are happy to turn them in. While Will learns about different beliefs, visions, love and life in general, he changes from a simple boy into a complex man. I enjoyed watching this transition and also enjoyed the natural lore that is shared. I grew up in Washington State forests and have some Indian relatives myself, so I understand a bit about their nature. Indians are always mystical to me and they are in this story, too. Why not get a cup of tea or coffee and settle in a comfortable chair for a good read? 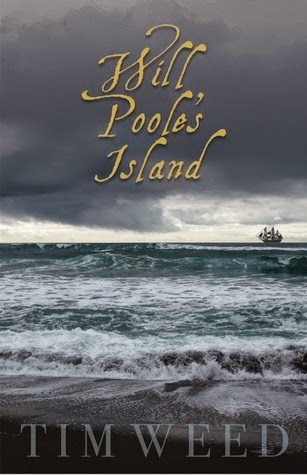 Let Will show you the east coast in the 1600's. You'll enjoy the author's writing style and his storytelling.